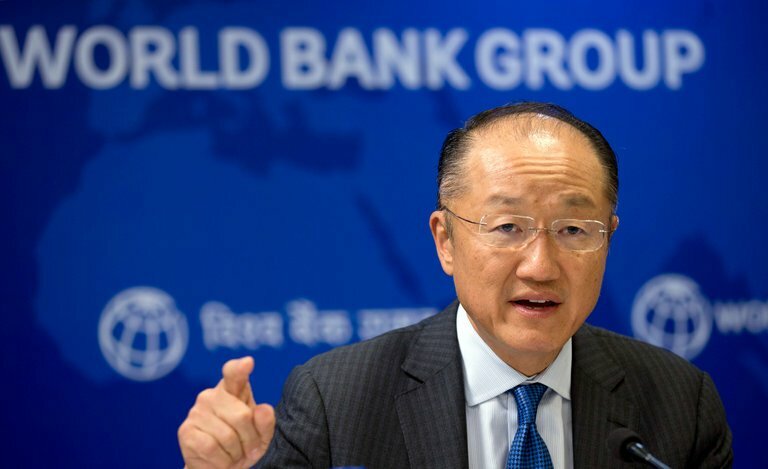 January 19, 2019 — Links International Journal of Socialist Renewal — World Bank president Jim Yong Kim is an ex-leftist who claims that in the mid-1990s he wanted to shut down the Bank. At the time, it was an entirely valid, realistic goal of the 50 Years is Enough! Campaign and especially the World Bank Bonds Boycott. Kim’s co-edited Dying for Growth (2000) book-length analysis of the Bank’s attacks on Global-South public health offered very useful ammunition. However, Kim subsequently make an ideological U-turn, as we see below. More importantly, among the casualties of the 9/11 attacks were many such movement-building efforts aimed at a common international enemy. The global justice scene faded quickly as a result of new divisions between social activists and U.S. labour patriots, the shift by internationalists into anti-war mobilising, and the ascendance of NGO-led World Social Forum talk-shopping. Other more hopeful recent leftist waves also ebbed, for example Latin America’s Pink Tide and 2011’s Occupy moment in many sites across the world. Perhaps the recent revival of social-democratic politics in the two core (Anglo-US) sites of neoliberalism will make this post-2001 lapse appear as an only temporary setback. If so, one inevitable site to identify neoliberalism’s coldest logic – and sometimes most brute-force muscles – is the World Bank, an institution often engaged in self-delegitimisation. So if activists across the globe do not currently have a central site of resistance, nevertheless countless battles are being waged at any given time against Bank projects and ideology. The battle over its leadership is worth close attention. After founding an impressive NGO (Partners in Health) and pursuing Harvard anthropology and public health scholarship during the 1990s, Kim went on to run the World Health Organisation’s AIDS division (very well indeed, helping get generic medicines to millions), and then Dartmouth College (not so well). Improbably, in 2012 he then became World Bank president due to his proximity to Bill and Hillary Clinton. But he made mistake after mistake for six and a half years at 18th & H Sts, NW Washington, alienating all kinds of different constituencies. In the wake of his sudden resignation, practically no one has a good word to say about Kim. While Dr. Kim articulated a strong vision of the World Bank Group’s mission that was targeted at reducing extreme poverty and boosting shared prosperity, the reality is that during his tenure as World Bank President, the institution frequently failed to live up to these principles. Rather than combatting inequality and targeting those living in extreme poverty, many investment projects, policy loans, and other World Bank activities contributed to inequality by supporting forced evictions, excluding persons with disabilities from project benefits, or creating conditions that increased rates of gender-based violence and sexual exploitation. Similarly, Dr. Kim maintained strong rhetoric around the need to address climate change throughout his presidency, but under his leadership the World Bank continued to invest in projects that led to deforestation and land degradation and otherwise supported the continued extraction and burning of fossil fuels. Here in Johannesburg, which Kim visited a month ago, there is much to lament about Kim’s desultory role, following a long history of Bank malevolence including generous financing of Apartheid. For example, just before the 2012 massacre at Lonmin’s Marikana platinum mining operation, the Bank held a proud $150 million debt/equity commitment with Lonmin (its largest such stake in Sub-Saharan Africa). A local feminist group’s formal complaint against the Lonmin financing was treated by Kim’s staff with such disdain that finally in 2015, the women and their lawyers gave up in disgust. Both these financing frauds emanated from Robert Zoellick’s presidency. But they festered unresolved through Kim’s reign, and sneakily, he evaded both controversies during his 2012 visit. More recent Kim-era scandals here included the Bank’s lead-ownership role in a firm found guilty of debit-order scamming millions of the poorest South Africans out of big chunks of their monthly grants (i.e., oft-celebrated ‘financial inclusion’). And in terms of World Bank research, South Africa was a pilot for the new inequality-denialism, which counts only (tokenistic) pro-poor state spending but entirely ignores corporate welfare. Actually, Kim was wrong on this elementary point. Of the ten commandments associated with the Washington Consensus (as defined by John Williamson of the Institute for International Finance), an independent reserve bank is not included. The ten are: fiscal discipline, reorientation of public expenditures, tax reform, financial liberalisation, unified and competitive exchange rates, trade liberalisation, openness to multinational corporate investment, privatisation, deregulation and secure property rights. Applied in practice across Africa since the 1980s, these aspects of structural adjustment were all destructive to public health and more general social welfare and environmental sustainability. This perspective confirmed Washington’s role as wrecker of future world climate summits, including post-Kyoto when Bill Clinton refused to sign on, or at Copenhagen in 2009 and Paris in 2015 when Obama’s State Department fatally weakened the deals, not to mention the Trump gang’s anti-science chaos in Katowice last month (allied with Moscow and Riyadh). More generally, Kim’s rule will be remembered for a new level of World Bank huckstering. He worked with the worst financial-speculative characters – like the Trump family – to promote the Public-Private Pilfering (PPP) model of “privatised profits, socialised losses.” Even more so than during the Wolfensohn-Wolfowitz-Zoellick ultra-neoliberal era, Kim believed financiers were the ideal partners for poor countries. That paves the way not only for him to join a predatory investment firm, but for a Wall Street crony of Trump to ease into the Bank presidency once nominations open next month. Opening the door to a Trumpist bankster? Will Trump’s replacement candidate be affirmed by the usual suspects: the U.S.-Europe-Japan (so-called ‘Western imperialist’) voting bloc, just as Kim relied upon in 2012, even though he was manifestly the least qualified of three candidates, and refused to engage in public debate? Alternatively, would a candidate from the non-U.S. West, or the emerging markets, or even poorer countries, be acceptable to Trump, if his candidate is rejected? The harsh reality is that Trump enjoys World Bank Board veto power with more than 15 percent of the voting shares. As a precedent for what might transpire, Washington’s blocking of multilateral institutions through personnel rejections has already sabotaged the World Trade Organisation in recent months. A month ago, Ivanka Trump was found guilty of fraudulent philanthropic activities, forcing the humiliating closure of the Trump Foundation. The New York Attorney General is now seeking to temporarily ban her from such activity, which would present an impossible public relations hurdle for a World Bank presidential campaign. It would be excellent if Trump did indeed nominate her – as last October he hinted he might, for Ambassador to the United Nations – just to finally get the rest of the World Bank’s directors to belatedly rise up with an alternative, non-Yankee candidate. Another Trump favourite is Goldman Sachs banker and former White House advisor Dina Powell, who was teasingly endorsed by The Economist: “An American nominee who is hawkish on China and opposes the bank’s green-finance projects, or is seen as a political stooge, would set off a row. Ms Powell would have the advantage of being a globalist.” That’s the term so thoroughly despised by Trump and his hard-right base that there’s little chance of her nomination. Instead, expect the worst, i.e., someone like Bernie Madoff after he receives a Trump pardon. Perhaps the potential of the U.S. losing its 75-year long Bank presidency is why some in Washington are now panicking. Brookings’ David Dollar, a former World Bank researcher of dubious repute, anticipates that Trump’s forthcoming “nominee will be approved. The world has an interest in the US staying engaged with the World Bank” (sic). A healthy dose of anti-imperialism is probably too much to ask from the kinds of neoliberals, liberals, Brazil-Russia-India-China-South Africa (BRICS) elites and Third World leaders who are most interested in this process, but surely there’s a possibility of anti-Trumperialism given how destructive his reign is to the people and planet, as well as to global economics and geopolitics? By the way, this is not the only dangerous open position atop multilateral development finance. Within a year, the BRICS New Development Bank (NDB) presidency will rotate, and Brazils’ new fascist president Jair Bolsonaro is expected to choose the next leader. Headquartered in Shanghai, the NDB will also open a Sao Paulo branch office this year (its first was in Johannesburg in mid-2017, and was the site of environmental and community protest during the mid-2018 heads-of-state summit here). The next NDB annual meeting, on April 1 in Cape Town, will also attract protests, given not only the NDB’s corruption-riddled South African loan portfolio, but Bolsonaro’s war on the Amazon, women, the Movement of Landless Workers and other progressive organisations, poor Brazilians, gays, Afro-Brazilians, ex-president Lula and so many others in Brazil. Aside from a Trump-appointed president, what are the other implications of Kim’s departure for world capitalism’s fossil fuel and mega-project addictions? His strange, hurried flight from the Bank into the arms of one of the world’s filthiest investment banks, Global Infrastructure Partners (GIP), immediately reminded of the need to prohibit revolving-door relations that make former public sector development financiers so attractive to Wall Street. Run by a former Credit Suisse oil-industry banker, Adebayo Ogunlesi, the investment house boasts an asset base of $51 billion. GIP partners and other top staff are dominated by White Anglo-Saxon Protestant males, which partly explains why they and the firms they co-own and manage are scarce in the South. GIP’s average 24 percent rate of return on investment is another reason, given how hard that is in poor countries, given their inexorable currency depreciation. Through the acquisition of 50% of Hess Infrastructure Partners’ midstream crude oil and natural gas infrastructure business in the Bakken Shale region, GIP has formed a strategic partnership with Hess Corporation to jointly own and operate critical infrastructure in one of the most important crude oil and natural gas producing basins in North America. The midstream infrastructure is principally located in North Dakota and includes crude oil and natural gas gathering systems, a natural gas processing and fractionation facility, crude oil export assets and an underground propane storage facility. Most famously, GIP owns drone-prone Gatwick Airport. GIP’s other listed investments – for which Kim is ostensibly now #2 in charge of managing – are overwhelmingly in fossil fuels, shipping and air transport. And Kim’s new boss is a super-star banker who led Credit Suisse’s energy and investment banking divisions, spending 23 years at what must be one of the world’s most corrupt financial institutions. For example, under Ogunlesi’s reign, Credit Suisse made more than 20 major loans to Enron – including many through fraudulent vehicles Ogunlesi well knew of – from 1998-2001, just before it collapsed. According to a summary of the bankruptcy proceedings, senior Credit Suisse management engaged in many unethical deals because they ”viewed Enron as a highly desirable customer, and they dismissed the financial and reputational risks created by Enron’s manipulative transactions.” Ogunlesi, who called Enron “a great, great company,” was in charge of the operation and in the civil suit filed by Regents of the University of California et al, and in bankruptcy proceedings, Credit Suisse was ultimately found to be an ‘enabler’ of the fraud. None of this seems right – which in a way is exactly the logical standpoint for the World Bank and its leader during a time of such intense geopolitical, economic and environmental turmoil. The extreme institutional instability we’re witnessing at present is due not just to the saboteurs of multilateralism two blocks away at 1600 Pennsylvania Avenue, or in Brasilia, or for that matter in Moscow. Another saboteur is sitting, at least two weeks longer, in the Bank’s presidency. And if you are a critic of neoliberal, carbon-intensive crony capitalism, then we can only hope that Trump contributes yet more delegitimation to the Bank’s now-legendary incompetence, malfeasance and unethical behavior… for which Jim Kim was only the cherry on top. Patrick Bond teaches political economy at the University of the Witwatersrand in Johannesburg. GIF investments are in these firms: Guacolda Energia, Freeport LNG, CPV, Saeta Yield/Bow Power, Gode Wind 1, Hess Infrastructure Partners, Naturgy Energy Group, Borkum Riffgrund 2, Vena Energy, Medallion, Clearway Energy, EnLink Midstream, Gatwick Airport, Edinburgh Airport, Terminal Investment Limited, Port of Melbourne, Pacific National, Italo, Access Midstream Partners, Biffa Group Limited, Channelview Cogeneration, Port of Brisbane, Ruby Pipeline Holding Company, Terra-Gen Power Holdings, CLH, Great Yarmouth Port Company, London City Airport, Transitgas, and East India Petroleum Limited.